PayPal to Acquire Simility to Expand Global Fraud Prevention and Risk Management Capabilities for Merchants | PayPal, Inc.
SAN JOSE, Calif.--(BUSINESS WIRE)-- PayPal Holdings, Inc. (NASDAQ: PYPL) announced today that it has agreed to acquire Simility, a leading fraud prevention and risk management platform, for a purchase price of $120 million in cash, subject to certain adjustments. 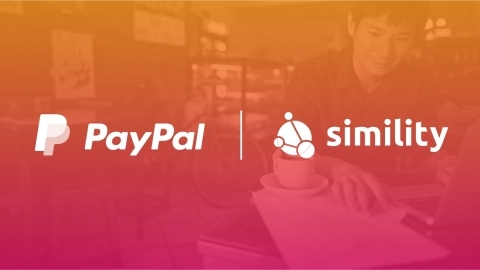 The acquisition of Simility will enhance PayPal's ability to deliver fraud prevention and risk management solutions to merchants globally. "Digital commerce has exploded, and fraudsters have taken note, adapting and developing new methods to carry out their crimes," said Bill Ready, chief operating officer, PayPal. "PayPal has been at the forefront of developing innovative fraud prevention and risk management solutions for nearly 20 years, and now, merchants will be able to configure those solutions to manage the unique complexities of their businesses. Together with Simility, we will be able to put more control in the hands of our merchants to fight fraud while helping make commerce experiences faster and more secure." Following the close of the transaction, merchants on the PayPal platform will gain access to best-in-class fraud tools that can be customized to reflect the nuances of their businesses through their existing account management dashboard. These machine learning-powered tools, which dynamically adapt and evolve with each transaction, will enhance payment experiences for merchants and their customers by helping to reduce fraudulent payment activity and, in some cases, verifying transactions that may have otherwise failed. "Our vision for Simility was to create an adaptive risk management platform that empowers organizations operating in a digital world to manage an evolving fraud and risk landscape," said Rahul Pangam, co-founder and CEO, Simility. "We are excited to enter the next phase of our growth with PayPal and are thrilled to join them to help drive the next generation of payment and commerce solutions while scaling our business together." Subject to customary closing conditions, this transaction is expected to close in the third quarter of 2018. Simility offers real-time risk and fraud decisioning solutions to protect global digital businesses. Simility's offerings are underpinned by the Adaptive Decisioning Platform built with a data-first approach to deliver continuous risk assurance. By combining artificial intelligence and big data analytics, Simility helps businesses orchestrate complex decisions to reduce friction, improve trust and solve complex fraud problems. Built by industry veterans, Similty is trusted by some of the world's leading consumer brands across financial services, payment processors and commerce merchants. For more information on Simility, visit simility.com. This announcement contains "forward-looking" statements within the meaning of applicable securities laws. Forward-looking statements and information relate to future events and future performance and reflect PayPal's expectations regarding the impact of this transaction on PayPal's and Simility's financial and operating results and business, the operation and management of Simility after the acquisition, and the timing of the closing of the acquisition. Forward-looking statements may be identified by words such as "seek", "believe", "plan", "estimate", "anticipate", expect", "intend", and statements that an event or result "may", "will", "should", "could", or "might" occur or be achieved and any other similar expressions. Forward-looking statements involve risks and uncertainties which may cause actual results to differ materially from the statements made, and, accordingly, readers should not place undue reliance on forward-looking statements and information. Factors that could cause or contribute to such differences include, but are not limited to, the timing and possible outcome of security holder and regulatory approvals in connection with the transaction, the possibility that the transaction may not close, the reaction to the transaction of Simility customers and business partners, the reaction of competitors to the transaction, the retention of Simility's employees, PayPal's plans for Simility, economic and political conditions in the global markets in which PayPal and Simility operate, the future growth of PayPal's and Simility's businesses and the possibility that integration following the transaction may be more difficult than expected. More information about these and other factors can be found in PayPal Holdings, Inc.'s most recent Annual Report on Form 10-K, Quarterly Reports on Form 10-Q, Current Reports on Form 8-K and other filings with the Securities and Exchange Commission (the "SEC"), and its future filings with the SEC.